Since 1950, Gold Weems has molded solutions for the people and businesses of Louisiana. Built on the common commitment of founders Leo Gold and George Hall, vision, strong relationships and a tireless dedication to excellence are our hallmarks. As one of the state's strongest and most diversified law firms outside New Orleans, Gold Weems has achieved and maintained its preeminent position in the Louisiana legal community through the quality and dedication of its members. Uncompromising standards are reflected in the ability and integrity of our attorneys, whose credentials reflect not only superior academic achievement, but also distinguished service to the community, the state, and the profession. Located in Alexandria, the geographic center of Louisiana, Gold Weems is uniquely available to help with legal issues throughout the state. Portions of sixteen (16) of Louisiana's sixty-four (64) parishes are situated within a fifty-five (55) mile radius of Alexandria, and parts of thirty-one (31) parishes fall within a seventy-five (75) mile radius. Though our practice is focused in central Louisiana, our location, performance, and reputation have extended our presence across the state. Central Louisiana is easily accessible via excellent regional airline service into Alexandria International Airport (AEX), which is served by American Airlines through Dallas (DFW), Delta Airlines through Atlanta (ATL) and United Airlines through Houston (IAH). Our historic office reflects the reputation and stature of Gold Weems. The classic beauty and function of the firm's Fireside and Manor buildings both demonstrate and enable our success. We encourage you to take a few minutes to tour our facility. With a history spanning more than 65 years, Gold Weems is proud of the generations of attorneys that have led the firm to its prominent stature in the region. Our remarkable past has paved the way for continued excellence, with every attorney inspired by, and equally committed to, the ideals of our founders. Respect the past . . . live the present . . . build the future. We look forward, ever mindful of the guiding principles which form the foundation for our success. In 1950, Leo Gold and George Hall partnered to form a law firm dedicated to providing clients with representation of the highest quality. From the outset, Gold and Hall were committed to professionalism, integrity, and excellence in the practice of law. Their uncompromising standards caused the firm to quickly grow into one of the largest firms north of Interstate 10 in Louisiana. In 1965, young attorneys F.A. Little, Jr. and John F. Simon moved to Alexandria to join the firm. During the 1970s, the firm added a quartet of talent: Charles S. Weems, III, Henry B. Bruser, III, Eugene J. Sues, and Edward E. Rundell. The firm of Gold, Weems, Bruser, Sues & Rundell expanded and continued to thrive into the new century. Gold Weems has developed a wide range of practice areas by recruiting attorneys with exceptional academic credentials and distinguished professional careers. As students, attorneys were elected to the Order of the Coif, edited and served on law review, and received the highest moot court awards. After law school, our attorneys have served as clerks to judges for United States Courts of Appeal, United States District Courts, and Louisiana state courts. Gold Weems alumni have been appointed to federal judgeships and elected to the state judiciary. 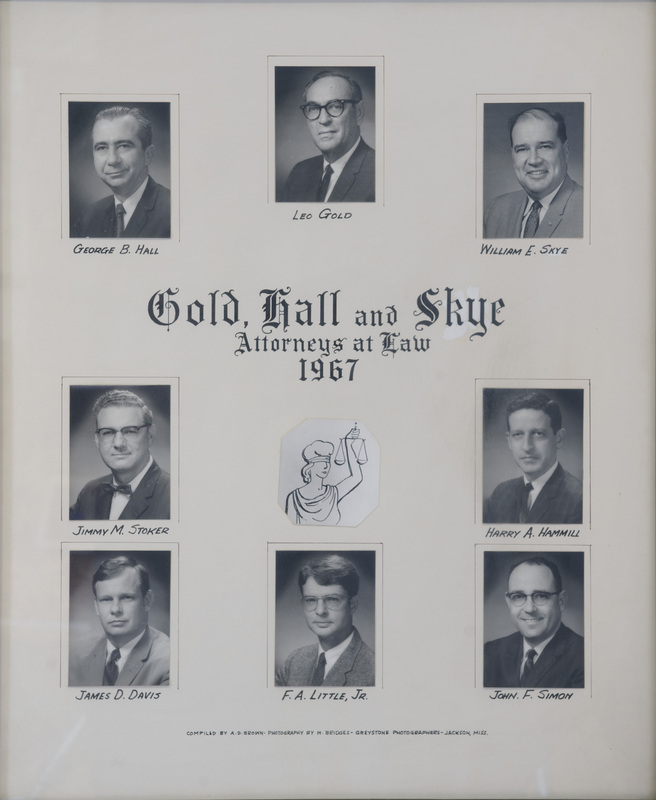 More than 65 years later, Leo Gold and George Hall's dedication to excellence and professionalism inspires a new generation of attorneys, and remains the benchmark for the practice of law at Gold Weems.